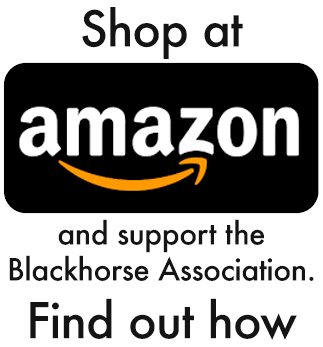 One of the original purposes of the Blackhorse Association was to take care of the children of members of the Regiment. This originated in a promise made by then- Colonel George Patton, Regimental Commander, to a dying trooper. Once again this year, we are able to do this thanks to the generosity of our members. Thanks to all who contributed, to Bob Hatcher who runs the program, and to the members of the scholarship team who review the applications and select the winners! Below is Bob’s report on this year’s winners. 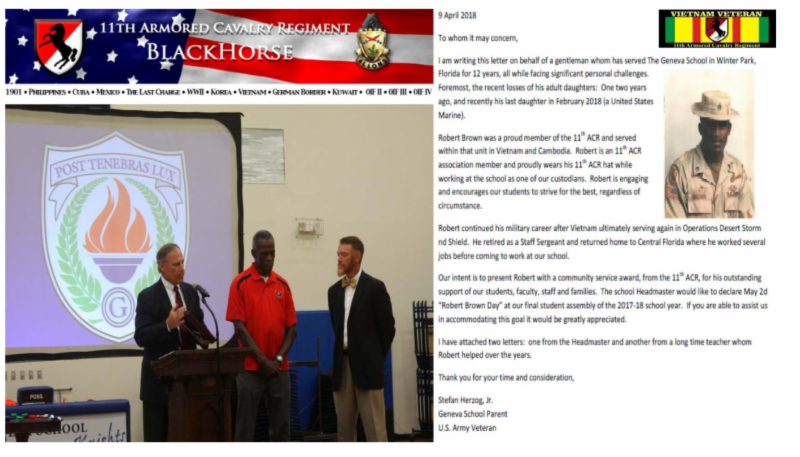 Blackhorse Trooper Honored for Service to His Community A Blackhorse Congratulations on a Job Well Done! Below is a link to a website that advertises the opportunity to drive former Soviet armored vehicles. Although the website is in German, it might be worth a look anyway. This comes to us courtesy of Robert McMurray, former SIGINT specialist in the 511th MI Company of the Regiment while in Germany. The following note is from Don Gray: I recently became a life member of the association. Attached is a PDF of my personalized license plate. 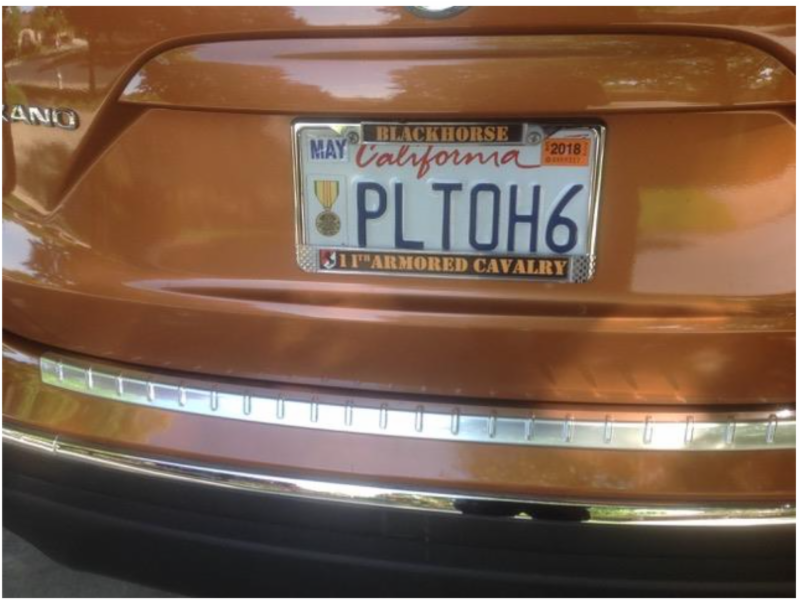 PLTOH6 means “Pilot of an OH6”, the scout helicopter I flew in Vietnam in 1971-72 for the Air Cav Troop in the 11th ACR. I thought you might like it for publishing in your newsletter since I have seen other such plates published in the past. 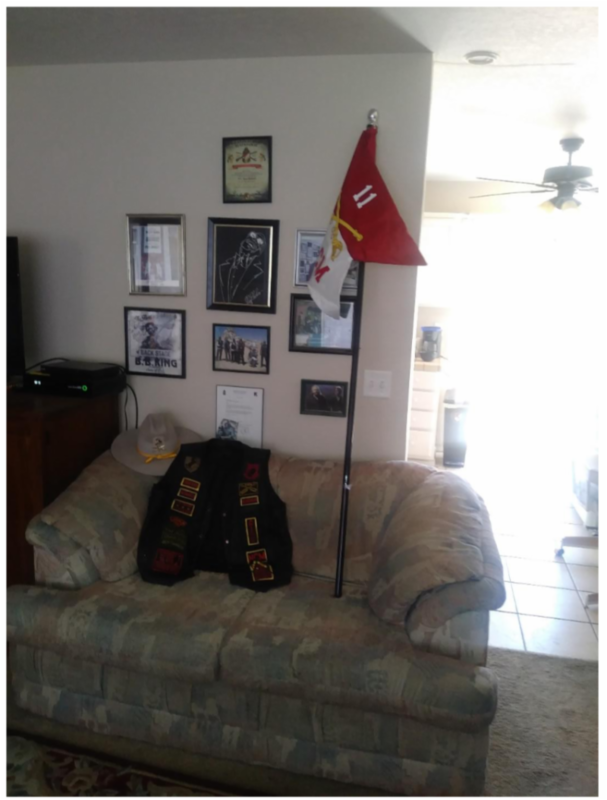 IRVINE, Calif. — Young Ethan Larimer has always dreamed of joining the Army and following in the footsteps of his father, Daniel Larimer, who was a “Blackhorse Trooper,” as Soldiers of the 11th Armored Cavalry Regiment are known. 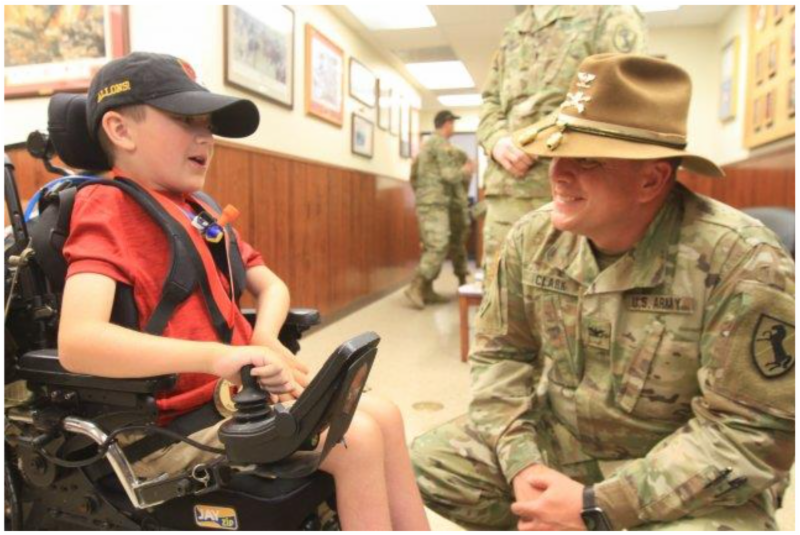 However, Ethan has a unique neurological disorder — Charcot-Marie-Tooth neuropathy type 4J, or CMT4J — that will prevent him from joining the military. Because of his medical condition, Ethan has difficulty with motor functions and uses a wheelchair. 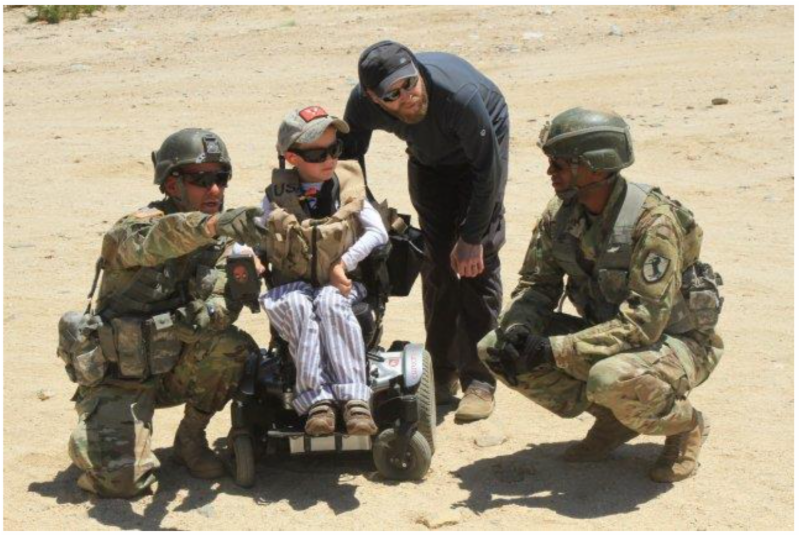 Though Ethan will never be able to serve in the Army due to his disability, he still dreams of riding into battle on the back of tanks. 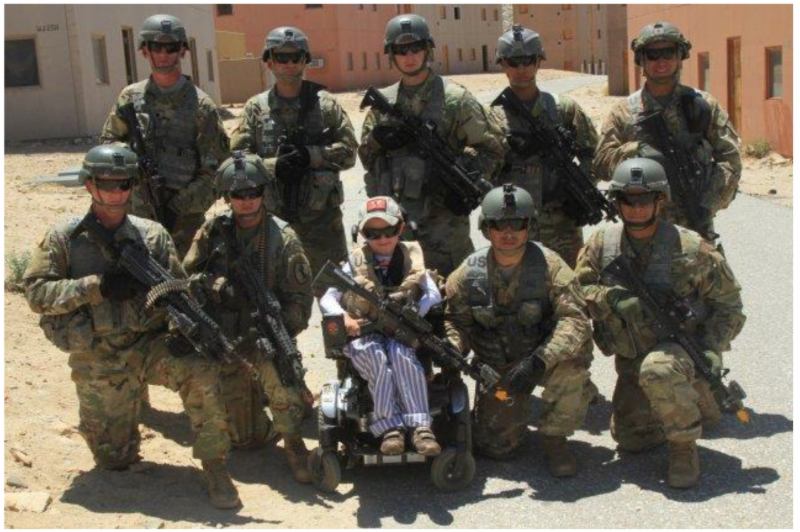 When Ethan’s mother, Victoria Perkins, contacted the 11th Armored Cavalry about fulfilling Ethan’s dream, the famed Blackhorse Regiment was happy to oblige.Ethan recently spent a day with Soldiers of the 11th Armored Cavalry, who helped Ethan check off all the items on his bucket list. 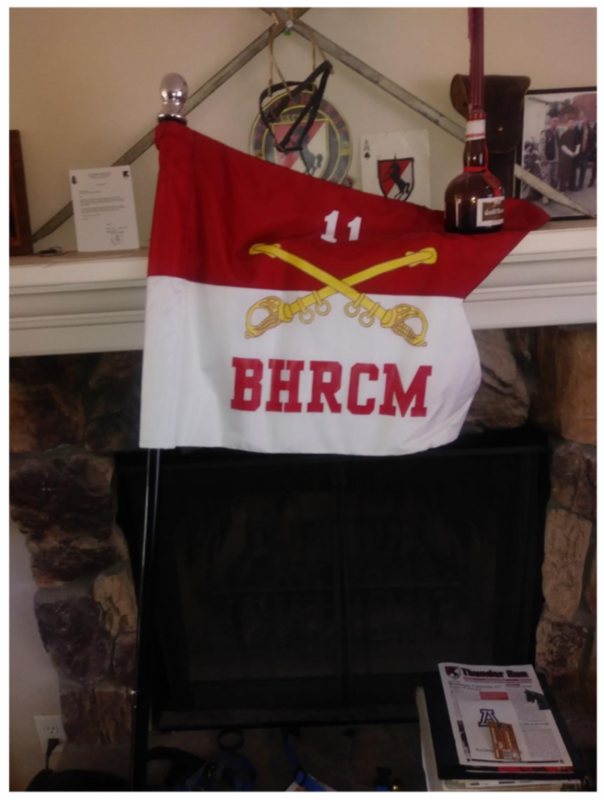 Upon arrival to Regimental Headquarters, Ethan was inducted into the Blackhorse Honorary Rolls, an honor set aside for those who have served the regiment above reproach. The regimental commander then presented Ethan with the Regimental Command Team coins. 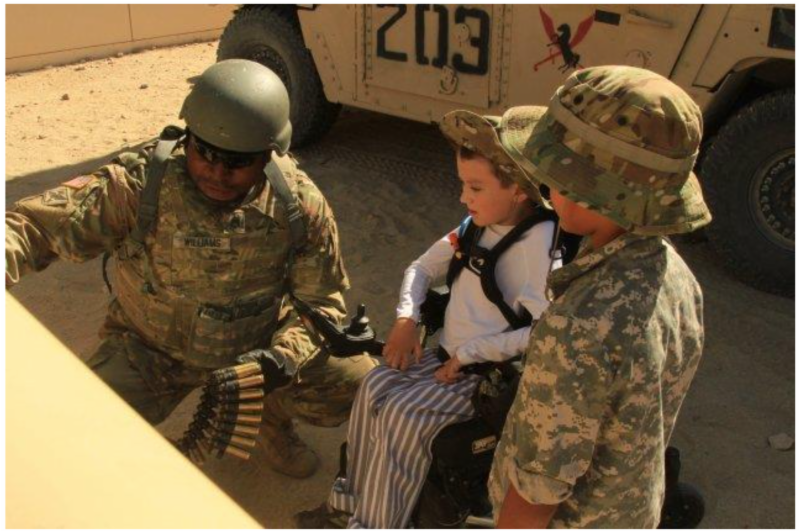 Ethan was able to see demonstrations of several guns, including the M240B Machine Gun, Browning M2 .50 Cal. Machine Gun, M249 Squad Automatic Weapon, and M4A1 Carbine. 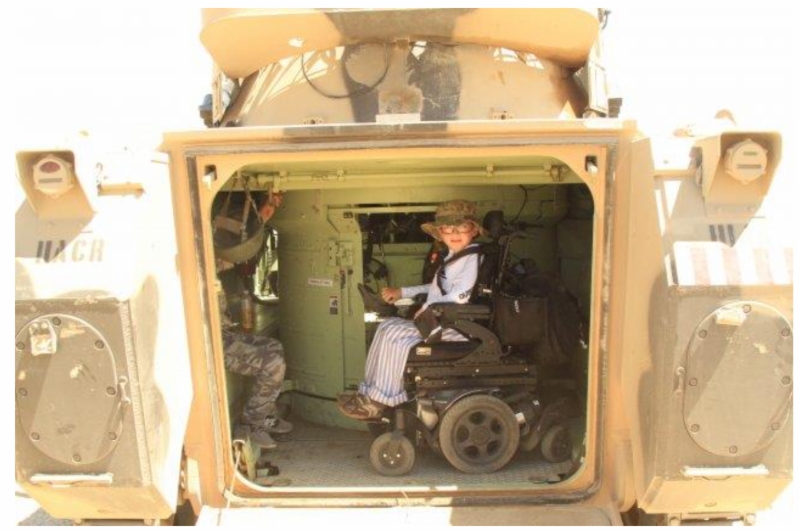 He also got to drive his wheelchair into a tank and see a helicopter. Ethan was given a personal “Box Tour,” an event where people are shown the ins and outs of training and battles at the National Training Center in Irvine, California. 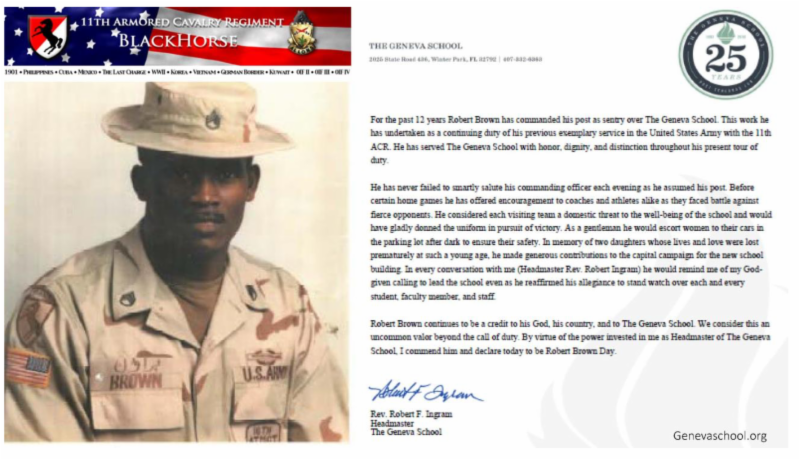 Then he led a platoon during building clearance drills through the streets of “Razish,” a simulated town at NTC. 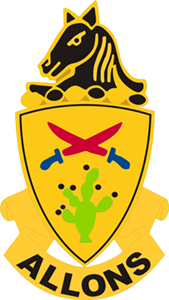 Later the 11th Armored Cavalry’s Horse Detachment gave Ethan a tour of the stables and brought some of the horses out to greet the young Blackhorse Trooper. 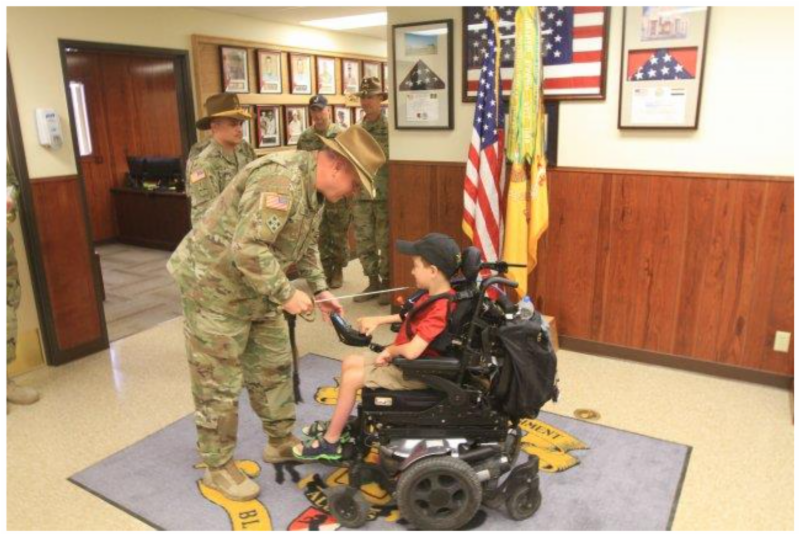 The Horse Detachment conducted a special demonstration for Ethan and his family to mark the end of Ethan’s day. It’s Not Too Early to Reserve Rooms for Next Year’s Reunion! To get the group rate, reservations must be made by May 3, 2019. Reservations are “first come, first served”; the rates we have for 2019 are outstanding for our early arrivals, and we encourage you to book now.